Antiquing is a fun pastime for many New Yorkers. You just never know what treasures you’re going to find. 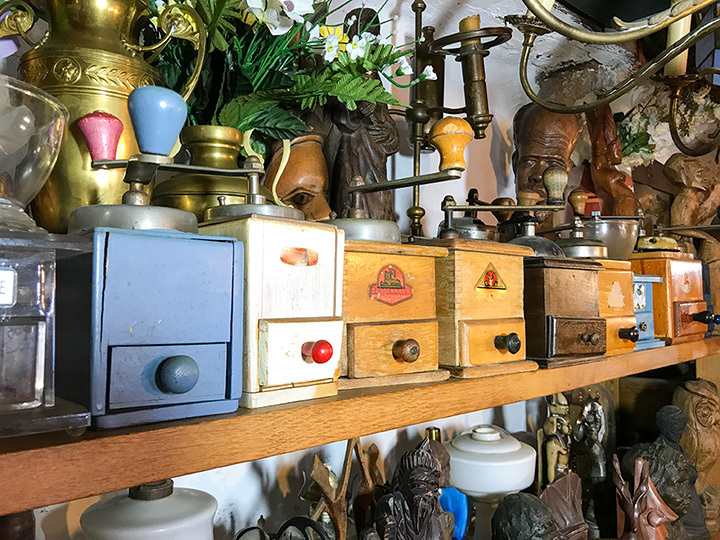 Combing through antique shops across the state can unearth hidden gems that perfectly complete your home design or hobby collection. From antique jewelry to treasures like old clocks and other collectibles, you’ll be surprised at what you discover. Here are 10 of the best antique shops in New York State. Tucked away in a former factory warehouse, Riverfront Antiques & Design Center (RADC) houses over 20 small antique dealers from the Hudson area. Once you step inside this hidden gem, expect to find everything from custom furniture to collectible art. A popular choice among locals and celebrity visitors, this Albany-area treasure trove houses all sorts of valuable knick-knacks. The spacious shop has every category of antique on offer, from pottery and porcelain figurines to art and jewelry. This large antique mall has four floors and over 35 vendors to peruse. The exchange was started in 1991, and has been curating the most beautiful and hard-to-find vintage and antique pieces for over 25 years. The oldest antique shop in Albany, New Scotland Antiques is a destination for dealers of high-value pieces. The antique experts buy and sell one-of-a-kind items like rugs, clocks, art, jewelry, and more. Sixty vendors participate in this antique co-op showcase, which is located inside a 7,000-square-foot mall in the heart of Bloomfield, New York—a haven for antiquing buffs. Inside the mall, shoppers can find vintage home decor, high-value collectibles, antique jewelry, and countless other treasures. Ten-thousand square-feet of floor space makes this Catskills antique market the perfect place to showcase large antiques like furniture and other home goods. Rick’s Barn draws antiquing enthusiasts to the Catskills from miles around. This multi-dealer antique barn has plenty of charm and a huge array of antiques like jewelry, wooden boxes, and furniture to peruse. The selection is well-organized and the space is beautiful, making it a draw for out-of-town visitors. A multi-vendor space, this 9,000-square-foot building houses all sorts of vintage gems. From furniture and rugs to teacups and clocks, the selection is full of beautiful, one-of-a-kind pieces that can perfectly complement your home’s décor. These Finger Lakes-region dealers constantly add “new” items to their shop, which is open from April to October and overlooks the gorgeous Keuka Lake. The shop is filled with quirky odds and ends that will add some character to your life. This East Harlem treasure trove attracts everyone from tourists to photographers and movie producers with an eclectic array of salvaged architectural elements from New York City. The multi-floor space is speckled with artifacts from stunning light fixtures to ornate wooden doors.